NEW YORK -- Mylan will start selling a cheaper version of its EpiPen after absorbing waves of criticism over a list price for the emergency allergy treatment that has grown to $608 for a two-pack, making it unaffordable for many patients without insurance or with high-deductible coverage. 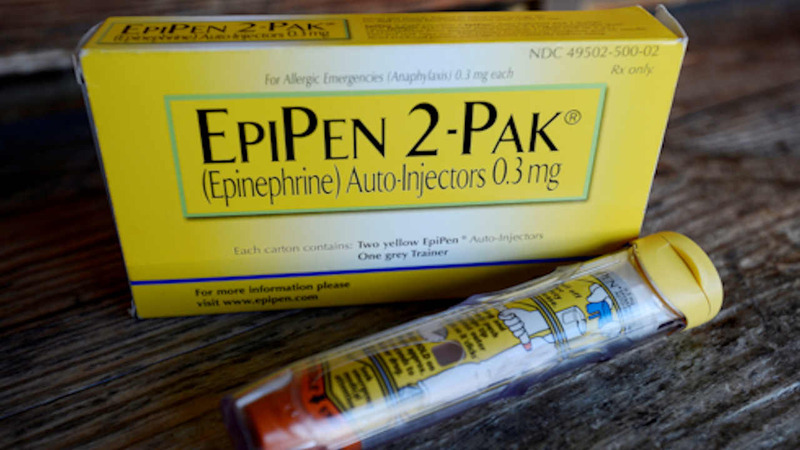 The drugmaker says it will make available in the next several weeks a generic EpiPen version that is identical to the branded option but will have a list price of $300 for a two-pack. It will be available in both 0.15-milligram and 0.30-milligram strengths, like the current version on the market. EpiPens are used in emergencies to treat severe allergies to insect bites and foods like nuts and eggs that can lead to anaphylactic shock. People usually keep a number of EpiPens handy at home, school or work. The syringes, prefilled with the hormone epinephrine, expire after a year. Consumers and politicians have accused the company of price-gouging, since the list price for a pair of EpiPens has climbed repeatedly from around $94 in 2007, when Mylan acquired the product. Mylan NV CEO Heather Bresch defended the price hikes last week, saying the company only received $274 of the total price for a twin-package while insurers, pharmacies and other parties divvy up the rest. Last week, Mylan said it was expanding programs that help people pay for EpiPens. It doubled the limit for eligibility for its patient assistance program, so a family of four making up to $97,200 would pay nothing out of pocket. It also said it will offer $300 copay cards, up from the current $100 per-prescription savings. A company representative said Monday that the $300 cards would be available only for the branded version, but patients could use its assistance program for both the branded and generic versions of the medicine. Mylan's announcement Monday comes a few days after the compounding pharmacy Imprimis Pharmaceuticals said it might be able to sell a version of the allergy treatment in a few months and would likely charge around $100 for two injectors. There is currently little competition for EpiPen, with the only rival product being Adrenaclick, which carries a list price of $461. But that could change. At least two companies are trying to get U.S. approval to sell a rival brand or generic version of EpiPen. None is likely to hit the U.S. market until well into next year. Numerous members of Congress and other politicians this week have called for congressional hearings on Mylan's pricing, an investigation by the Federal Trade Commission and action by the Food and Drug Administration to increase competition by speeding up approvals of any rival products. Shares of Mylan jumped more than 2 percent, or $1.02, to $44.05 Monday, before markets opened.